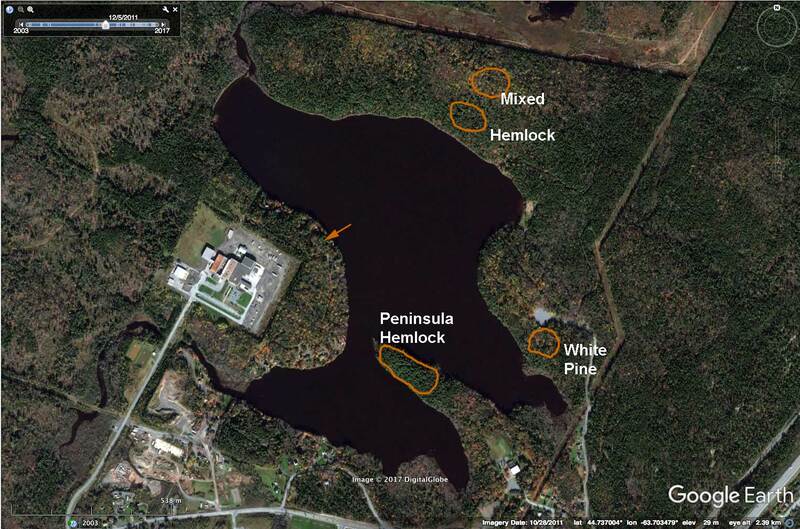 Sites for assessment of Old Forest status. 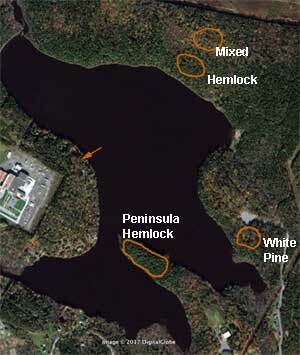 The arrow points to the “DS hemlock stand”. 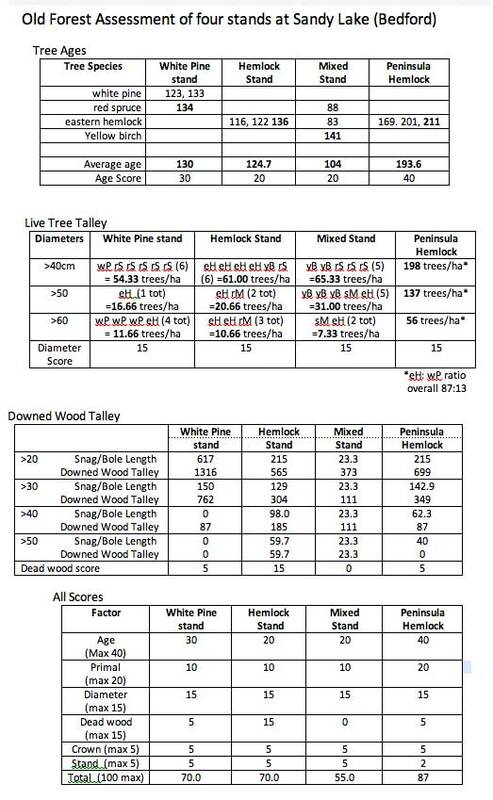 Through the collaboration of Colin Gray, Old Forest Coordinator for the Mersey Tobeatic Research Institute, three stands on the east side of Sandy Lake were assessed for their Old Forest status according NSDNR’s standard scheme on October 4 and 6, 2017.